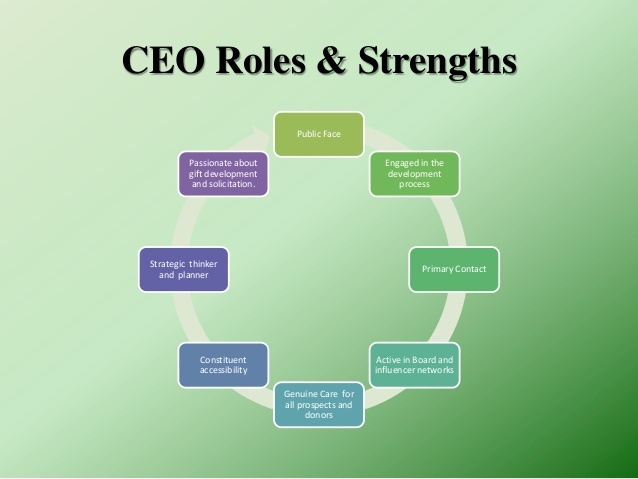 CEO, the Chief Executive Officer, is the most prestigious and important position in any company or an organization. For a company to grow successfully, being a good CEO plays a major role. The CEO is the person who leads a company- either private or public. He/She is responsible for all the activities occurring in the company. Let’s consider some of the top companies and its CEO’S. Google – Sundar Pichai: the most successful CEO of the century. He did his bachelors in Metallurgical Engineering in IIT, Kharagpur. His aim was to produce and bring up the new software, digital products where the world could work on and use internet to make our lives easier. Amazon – Jeff Beroz: He graduated from Princeton University. He is the world’s wealthiest, the richest man. Only a determined hard worker can become successful as a head of such a huge company. These CEO’s invested their entire life working on building up their institutions. Definitely not a cake walk! But if we have the will, we will! There are some characteristics to build up that leadership skills that are required to lead an organization as a good leader. Here we would like to discuss 5 ways to lead a company efficiently. Team Player: Yes, you heard it right. Leading a company is similar to leading a number of teams together. It means coordinating with a bunch of people to reach the goal required. With all of the stress that is upon the CEO, it is tough to focus on building up a relationship with their teams. CEO coaching is a way to bring out the best in a company leader. As mentioned earlier, for any company to be successful, the CEO plays a major role. So, only if the CEO knows to handle a big company, it can sustain and grow. To spread the awareness about how important it is to know the way to handle a huge volume of responsibility, to guide the teams, we introduce to you, CEO training programs. Good Planner: Often, we tend to neglect the most important things we need to focus on. Planning is the most important process in the field of entrepreneurship. It is not a simple concept of knowing what has to be done. It is about what is needed to achieve the goals, the methods to accomplish it, the raw materials, types of staff and so on. It is not easy to be determined and focused on the planned commitment because there can be many burdens that can get you involved into. How do you stay updated with your company’s work and your plan? CEO training programs provide the ability to focus on the main contents and train the CEO to be much effective in their work. Efficient Resources: If we are working on a particular project, what do we usually see? How to do, what has to be done and of course, what will we require. But only if we consider what the requirements are in depth, we can perform to our best. CEO organization provides you with these simple tricks to accomplish this with less stress upon. Updated on Technology: Well, if you are aware of what is happening in the present era, you can design your products accordingly, according to what the customer expects. For that you will require assistance. Validate the results: The final stage that a CEO should be careful with. What does it do? To what type of people will it apply to? What are its merits and de-merits? Several such questions come up and CEO training helps to boost your thinking capacity to perform better.